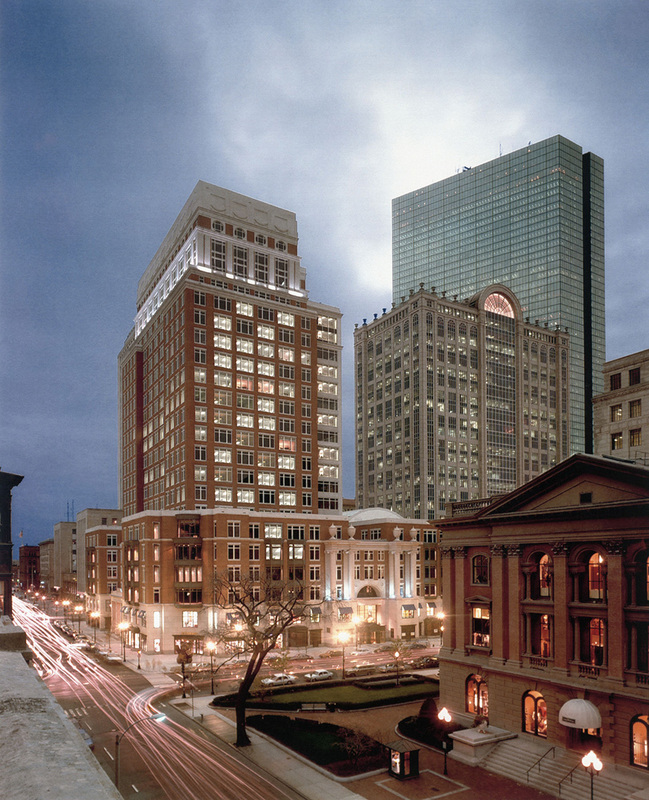 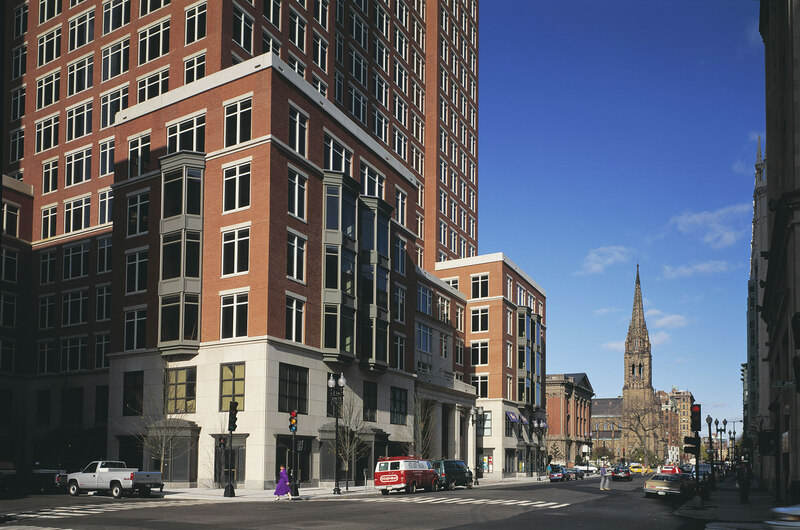 A landmark mixed-use office and retail complex in Boston’s Back Bay area, the building is clad in a palette of red brick and stone to respond to the traditional context of this urban center. 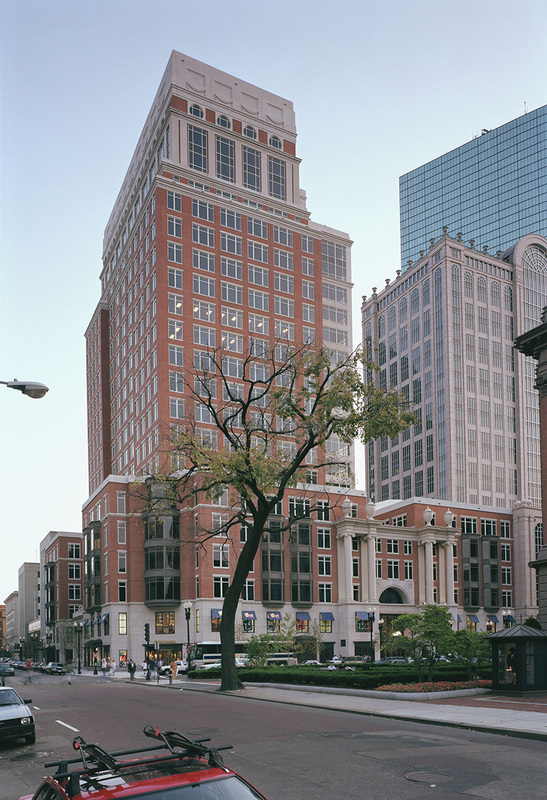 At the street level, retail storefronts on Berkeley and Boylston Streets that open to wide, tree-lined sidewalks add to the active pedestrian character of the neighborhood and help to invite the public into an interior winter garden. 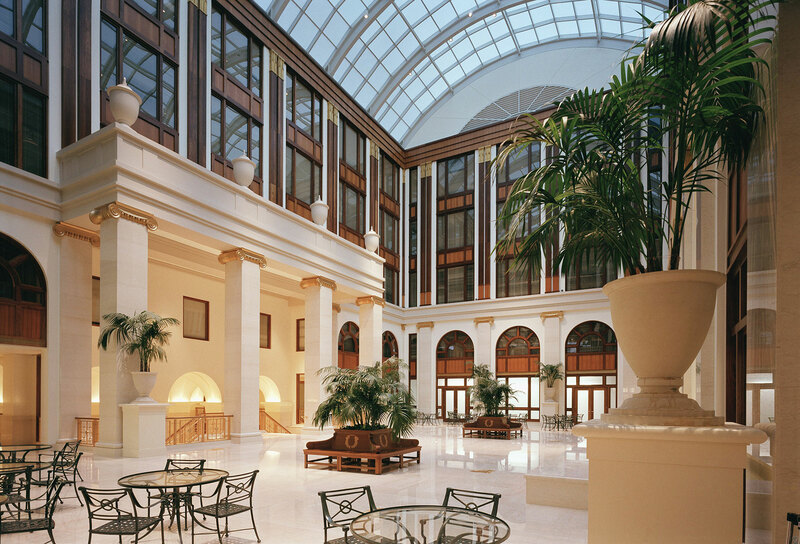 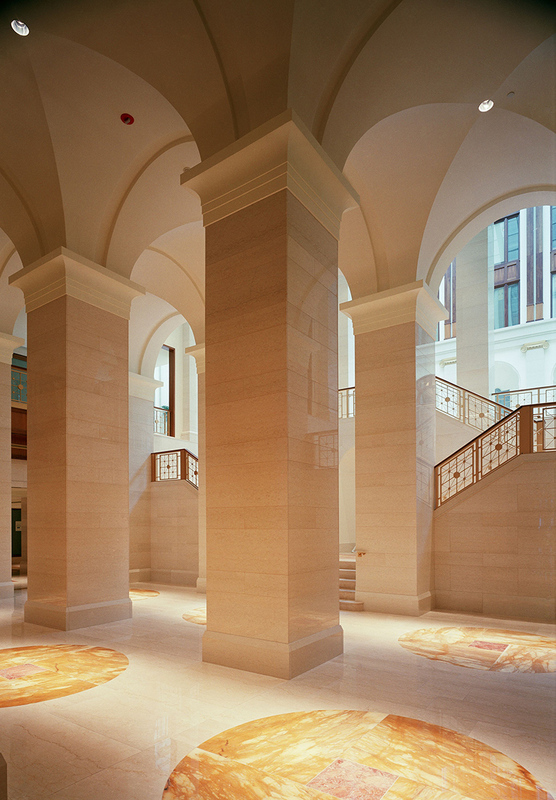 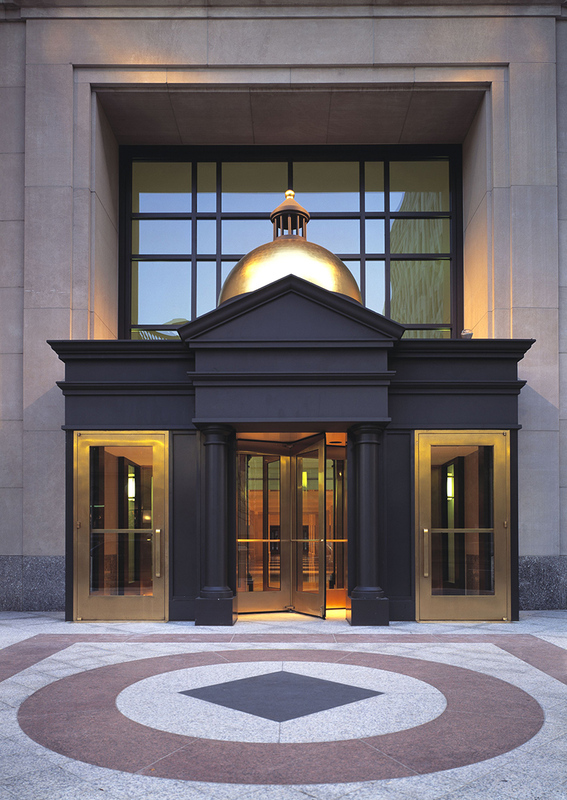 At the center of the block on Berkeley Street three-story tall Ionic columns flank the main entry to the building that leads to the building lobby, retail arcade and five-level, glass enclosed winter garden. 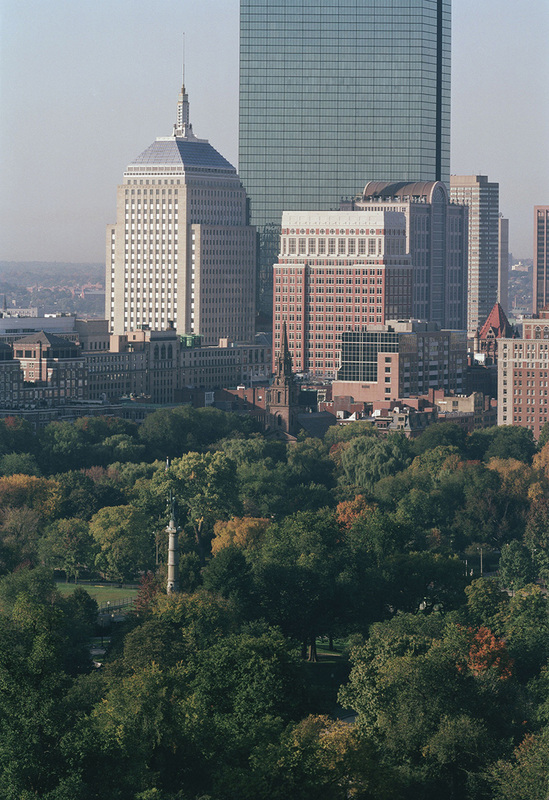 The office tower of brick and floor-to-ceiling glass is set back from a 6-story base and terminates in a pavilion-like crown.